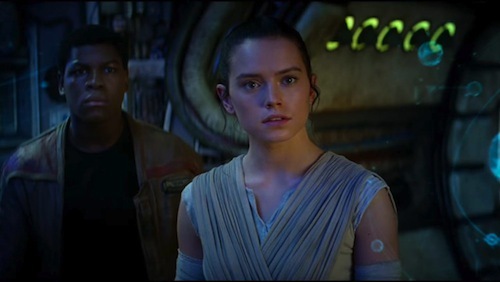 Yesterday pre-sale tickets for Star Wars: The Force Awakens went live and cinema booking sites felt the power of the force as they crashed around the world. Thankfully, I was able to secure tickets for 17th December without any fuss in the UK. 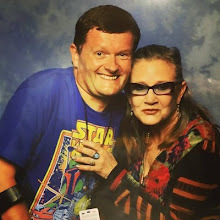 In the early hours of this morning (BST), the third and final trailer was premiered during Monday Night Football on ESPN and dropped online not long after. 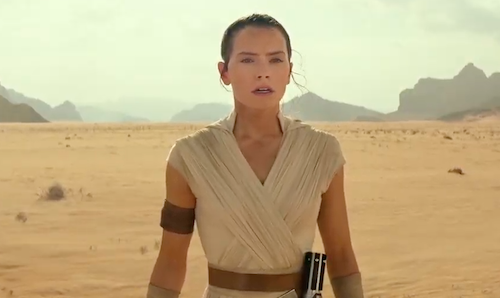 The trailer frames the upcoming Star Wars movie around Rey's (Daisy Ridley) journey from scavenger to, well, that'll be answered in a couple of months unless you've seen that Topps trading card. Here it is in all its mythological glory. Distilling the magic of the original Star Wars trilogy.